As we get closer and closer to the end of the year we’re excited to think about all the progress we’ve made in our Berlin office. It’s hard to believe it’s already been over a year since we started the process of opening a factory in Germany. Today, Spoonflower DE team member Allie stops by the blog as we look back at a few of our most exciting happenings and look forward to what’s to come! Allie: The office is complete which has allowed us to start welcoming in the community. 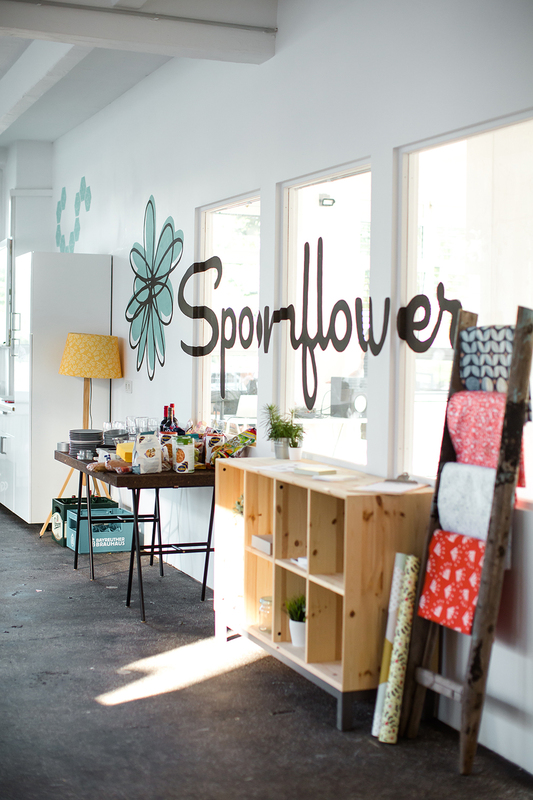 In addition to an open house, we’ve hosted a number of groups in hopes of further spreading the Spoonflower word. We’ve taught fabric design workshops, hosted students from local universities and lead discussions on topics such as women in tech and the arts with various organizations. Interested in visiting? Let us know, we’d love to show you around the new factory. 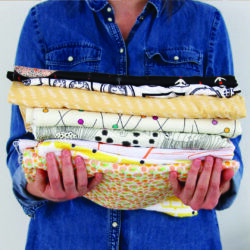 Just send us an email to help@spoonflower.com to arrange a time. And stay tuned to our Meetup Page for future workshops, discussions and more! 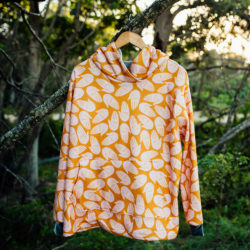 Our biggest event of the year so far has been Sprout x Berlin, a collaboration with Sprout Patterns, our sister company. We partnered with five local artists to bring their work to life on the runway. 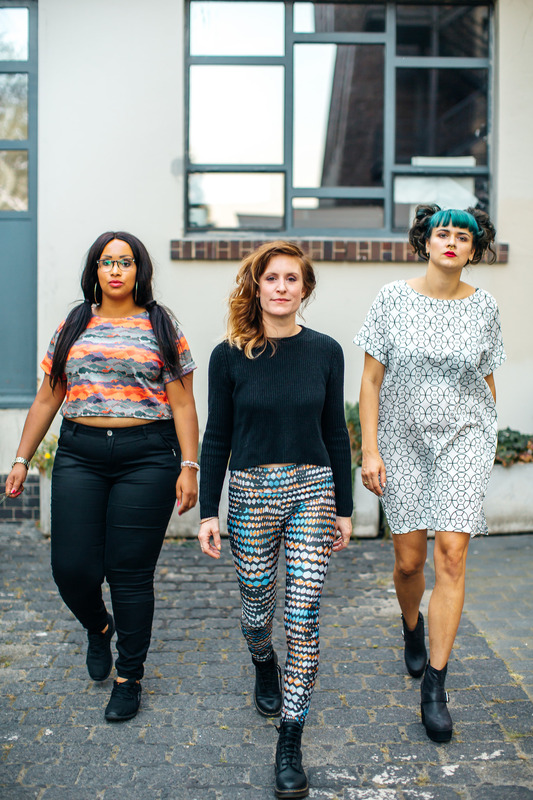 By transforming their illustrations, photographs and tattoo designs in to textiles we were able to illustrate the impact of incorporating digitally printed textiles into fashion. New features have been added to the site! With the launch of our new checkout earlier this year we made shopping easier for Europeans. The new checkout allows you to pay in four currencies, pay VAT up front to avoid long trips to the customs office and enjoy cheaper standard shipping options. Orders shipping from our Berlin office also arrive faster than before! To make this experience even better we’ve now revampedThe new checkout allows you to pay in four currencies, pay VAT up front to avoid long trips to the customs office and enjoy cheaper standard shipping options. the entire cart. With the launch of the new cart you’re able to checkout using PayPal, select from three shipping methods, standard, rush and guarantee, and use your Spoondollars to cover VAT. The new cart also allows you to see your total in various currencies rather than going all the way to checking out to know your total. This is another big step in completing our new internationalized site. Stay tuned for more features to come (hint hint–more languages!!). 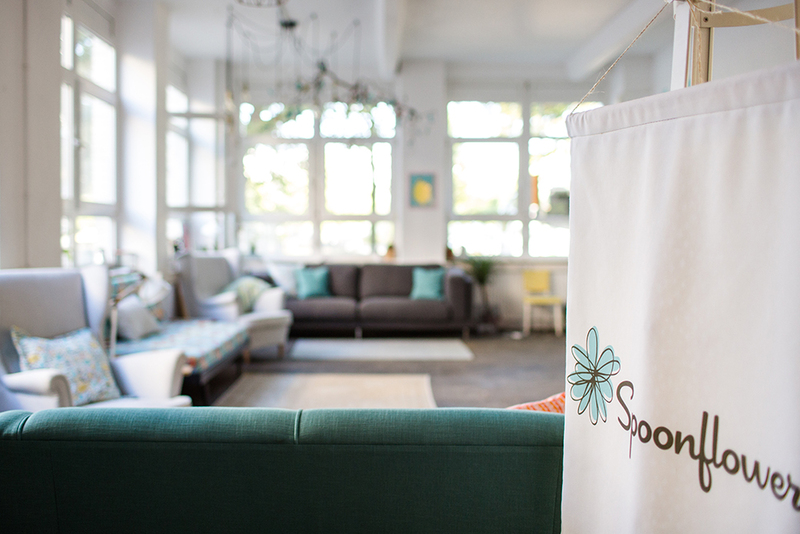 Are you a German speaker and interested in keeping up to date on all Spoonflower Berlin happenings? Follow our new German social accounts. We’re on Facebook, Instagram and Pinterest, and we have a bi-weekly newsletter that’s full of DIYs, maker interviews and more! 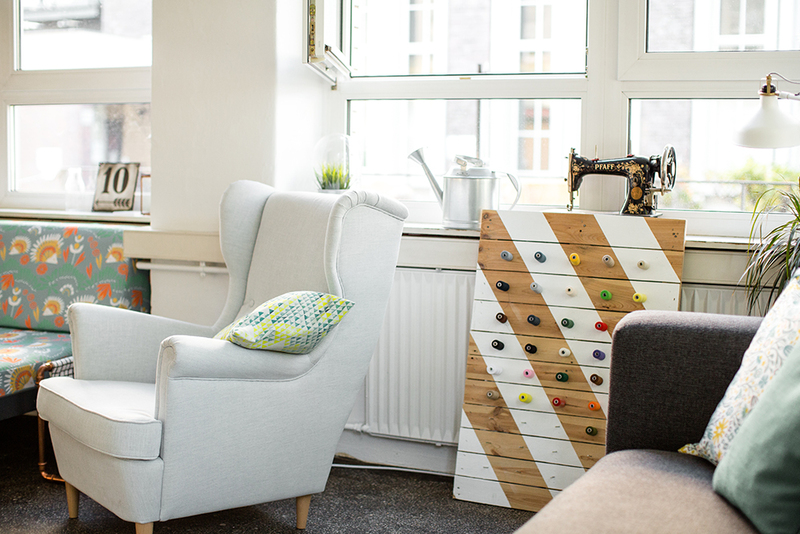 Are you based in Europe and design fabric or run a crafty business? Let’s collaborate! Take a few minutes to share your idea with us by completing this form. Finally, are you a native German speaker who has a knack for marketing and PR? We’re looking to add a marketing specialist to our Berlin-based team. Find out more about the position and how to apply here. We’re also looking to add another Front End Developer to our team. It you or someone you know might be a good fit, head here for more information! We’re one step closer in the process of truly internationalizing the Spoonflower experience! Stay tuned for more information as we continue this journey. The office is totally adorable…..way to go! 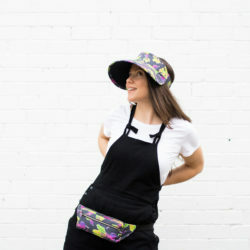 We encourage you to visit the Berlin factory during their office hours which you can learn more about here : https://www.meetup.com/Berlin-Spoonflower-Meetup/ This is also a great place to check for upcoming design workshops! Hi everyone, is there a kind of factory outlet at your Berlin factory? Like, where you’re selling scraps or misprinted fabrics? That would be so cool and sustainable not to let anything go to waste! Would love to hear from you. Great question! While there isn’t a factory outlet at either factories, we do host charitable sew-ins with the slightly flawed fabric. 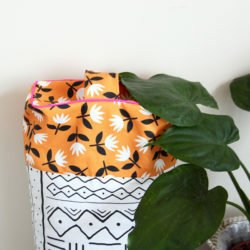 The designers still earn their full commission but it’s a great way to recycle fabric that can’t be sold.